The goal of the Scholar-Artist program is to honor exceptionally accomplished high school seniors September to June. Selections are made, each spring, from a pool of Long Island students. 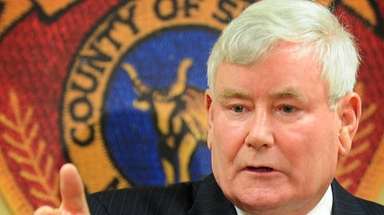 From these nominees, one monthly award winner from Nassau and one from Suffolk is chosen. For Long Island Scholar Artist Victor Barsotti, art is a comfort zone, but it also serves as a means of pushing towards his dream of working in film. 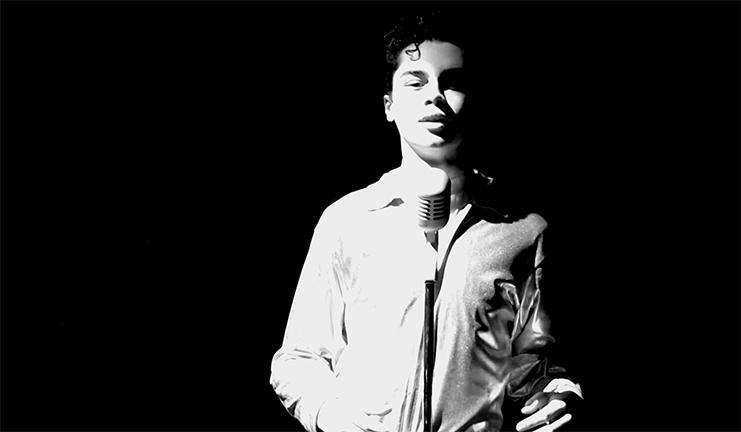 Victor's ability for the theatrical was best displayed during Connetquot High School's rendition of "Bye Bye Birdie," of which he also wrote, produced, filmed and edited the play's opening sequence. His many accolades include recognition from the Locust Valley Film Festival and Thunder Theater Film Festival. "Art means an escape for me," Victor says. "You can listen to a song, watch a movie, or look at a work of art and completely get sucked into it." Barsotti's musical prowess is showcased in the school's pit orchestra and multiple performances in graduation ceremonies. Victor's talents in the school marching band, jazz band and honors in the Tri-M Music Honor Society and National Honor Society are additional avenues he uses to express his artistic soul. Barsotti can also be found on the field playing baseball, golf, tennis, volleyball and running track. 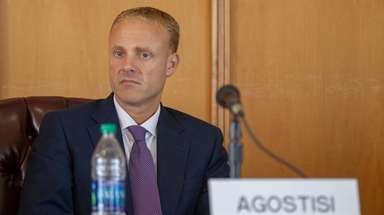 Barsotti's dedication extends beyond the stage, including his time with Habitat For Humanity and Athletes Helping Athletes. "I think that is a pretty special and powerful thing to be able to give to others," he says. Barsotti's dream is to trek across exotic locales for National Geographic and film nature documentaries or work on movie sets. 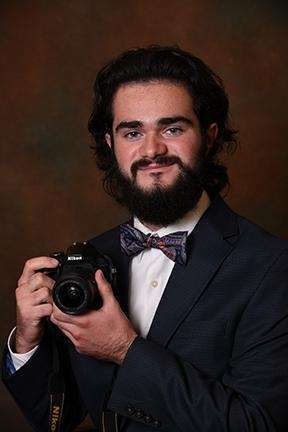 He plans to focus on his passion for film and study computer graphics in college with a minor in environmental science. 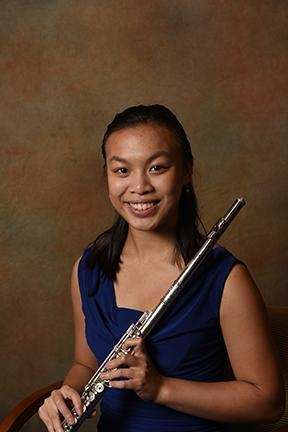 Herricks High School's Joanna Lau has mastered the flute so well that, as a Long Island Scholar Artist, she's already busy getting the next generation of musicians ready teaching lessons in her spare time. "Being able to share the gift of music with others in performing and in teaching flute has given me so much joy, and I hope that others can experience the endless beauty and life that music can bring," says Joanna. Lau's skills developed quickly during her five years at the Manhattan School of Music where she performed as principal flutist with the precollege philharmonic orchestra. Her work with the "endless beauty" she mentioned has gained national recognition: Joanna was named one of the 13 across the nation to receive the Anthony Quinn Foundation Scholarship. "Music allowed me to truly listen to myself and the world around me," Lau says. She also won first place honors in the Long Island Flute Club Competition, was named a finalist in the North Shore Symphony Orchestra Young Artists Competition and was first flute in the New York All State Symphony Orchestra. 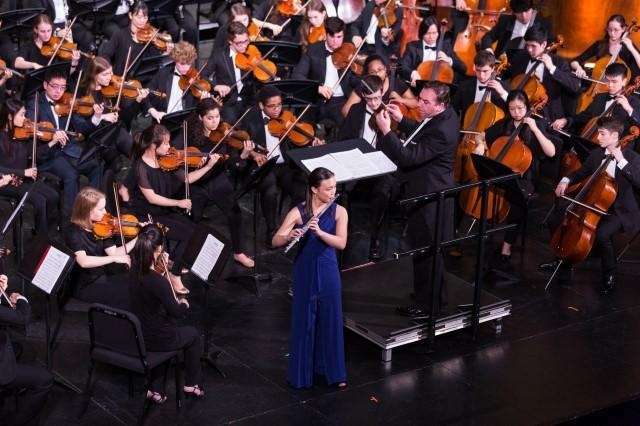 Lau, co-president of Herricks' Tri-M Music Honor Society, has shined at summer music festivals from New York to Boston, with the Metropolitan Youth Orchestra, on WQXR's Young Artists Showcase and NPR's "From the Top." For Lau, music levels out the "whirlwind of high school life." Joanna will extend her music career into college and plans to pursue a dual-degree in music performance and creative writing. The art of dance for Madison Buchholtz is more than the physical nature of moving. It's an opportunity for the Long Island Scholar Artist to engage with the audience and provide a visual subtext within a performance. "Being a ballet dancer gives me the freedom to express myself and further advance my knowledge artistically, by branching out into choreography," she says. 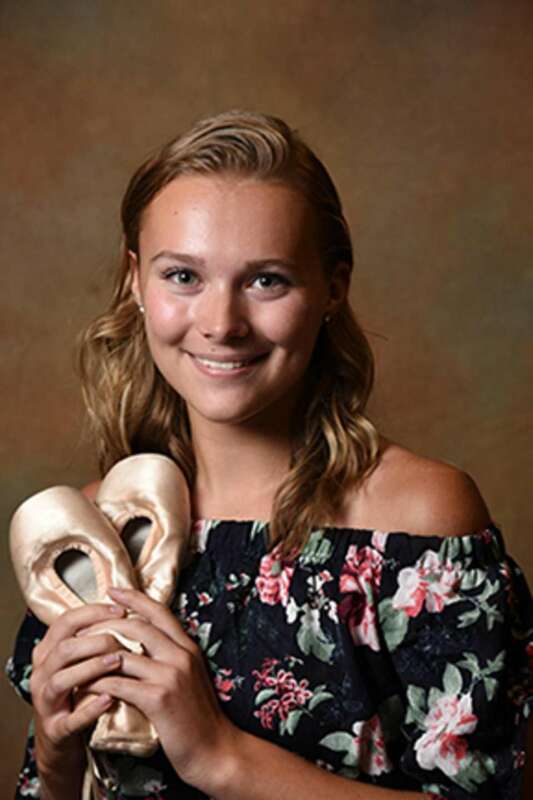 Madison has shined both in and outside of Huntington High School, including major roles in "The Nutcracker," "Sleeping Beauty" and "Cinderella" with The Lynch School of Ballet. She also collaborated with esteemed choreographers in workshops and performances such as Emery Lecrone and Adrienne Hurd. Buchholtz's talent developed even more at Ballet Academy East (BAE) in Manhattan with Darla Hoover and Julia Dubno. She also wowed in "Dreamers" at BAE, a new work choreographed by Daniel Ulbricht, a principal dancer for the New York Ballet. She performed in it a second time for the Dancers Against Cancer Youth Movement, a fundraiser for the American Cancer Society. "My passion is performing on stage," she says. "It is so exhilarating to me." Madison spent time volunteering last year with the Long Island Ballet Theatre with rehearsals and performances while working with young children. She'll also handle rehearsing "Angels and Mice" this year for the group and plans to major in ballet after high school while auditioning for ballet companies. "I have had the pleasure of knowing [Madison] for the past four years," Huntington's Dean of Students Robert Gilmore says. "She has always maintained a strong moral Compass, is kind, thoughtful and demonstrates the most endearing manners to all that surround her. Madison possesses a commitment to do the best in all she does." The talent of Long Island Scholar Artist Michelle Zheng went global this year with her artwork being sent to children living in Puerto Rico; a gift to help cope with the horrendous flooding that has plagued the region. "I think art can be beneficial for anyone," the vice president of the Bethpage High School Art Club says. Michelle was honored with the highest overall score for her school portfolio. The prestigious award carries with it the highest possible level of media attention for students and for their district art programs. 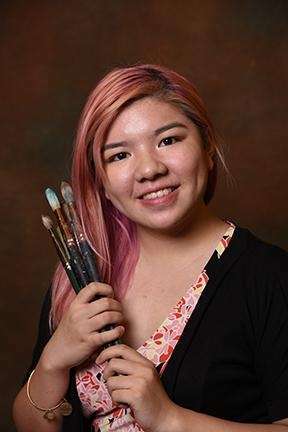 Zheng was the top of art students on Long Island that met the criteria of an unweighted average of at least 90 and a portfolio submission containing 10 works of art. The portfolio must showcase both technical and conceptual skills in addition to a written essay. With a solo exhibit at Bethpage, All-County exhibits in both 2015 and 2018 and winning the Excellence in Art Award, Michelle feels "grateful to be recognized in a field that I'm so passionate about." Zheng, a member of the National Honor Society, feels art instruction is an essential part of the American education system. "[Art] can be relaxing and gratifying, serving as a positive outlet throughout any student's busy school life," Zheng says. Michelle plans to attend the California Institute of the Arts with a major in animation and film. Her dream of working at Disney, Pixar or DreamWorks "fueled me to be hardworking and persevere in school." "Michelle is by far one of the most driven students that I have had the pleasure of teaching," her teacher says. "Her passion for art and creativity has made her an inspiration in the art room." Katherine Jergensen comes from a high school with a legendary music alumnus. The Long Island Scholar Artist, a Hicksville High School standout, sang for Billy Joel in the chamber choir last year. For Jergensen, the performing arts allows "freedom of expression, which is so important." "When I'm acting, my whole world is transformed," says Katherine. "I jump into the body and mind of the character I'm playing, and I do my best to, 'live truthfully under imaginary circumstances' as the great Sanford Meisner said, and do the playwright justice." 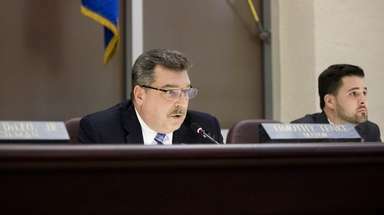 Jergensen's many accolades include memberships to Hicksville's Tri-M Honor Society, National Honor Society, Italian Honor Society, Social Studies Honor Society and English Honor Society while serving as a student representative on the Hicksville School District Board of Education. "My job as a performer is to inspire others the way that other performers inspired me," Jergensen says. "And if I can put a smile on someone's face, that's the cherry on top." Katherine can be found singing the National Anthem at many Town of Oyster Bay events. She's working towards a major in musical theatre in college and is striving to be a working stage actor. "To just be performing and doing what I love is what matters to me," the International Thespian Honor Society Historian says. 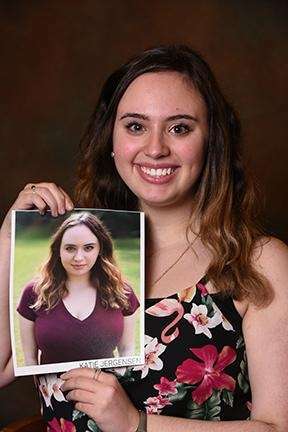 "Her drive to succeed is going to help her with the challenges she will face as she enters the professional theatre world," her teacher says. Long Island Scholar Artist Anthony LaBarca propels his essence into music to connect with the audience. "Music gives me a way to convey both a composer's intent and my own personal feelings," the Syosset High School senior says. 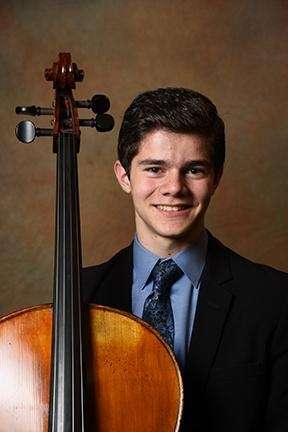 Anthony, nicknamed AJ, was the winner of this year's Sound Symphony and Long Island Symphony Concerto competitions and is also a member of the distinguished New York Youth Symphony. 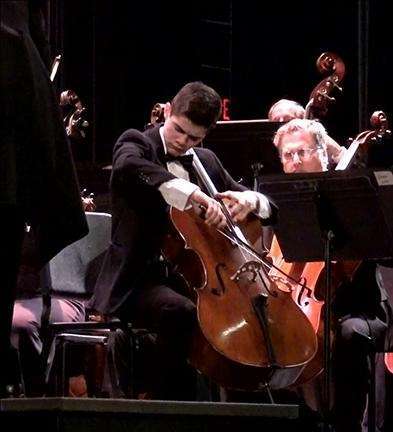 A two-time NYSSMA All-State Cellist, Anthony feels a sense of gratitude of being able to accomplish his goals up on the stage. "Expressing emotions through a musical performance and knowing that I have had an impact on my audience gives me an enormous sense of fulfillment," LaBarca says. Anthony's talents have taken him to New York City's Carnegie Hall, where he played the saxophone and cello and was the grand prix winner of the New York Concert Festival International Competition. Additionally, he is the co-president of the high school's Tri-M Music Honor Society Chapter and president of the Chamber Orchestra. An accomplished jazz musician, Anthony plays alto saxophone in the Nassau-Suffolk Jazz Ensemble and is a six-time NMEA All-County jazz saxophonist. Passionate in both music and physics, AJ participated in the Yale Summer Program in Astrophysics and is considering a double major in physics and music next year. 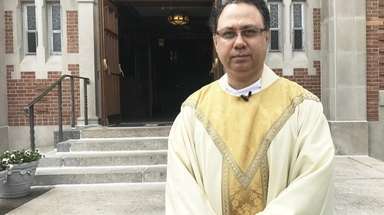 He plans to pursue a doctorate after completing his undergraduate studies. The stage allows Lydia von Hof to "explore new ideas." 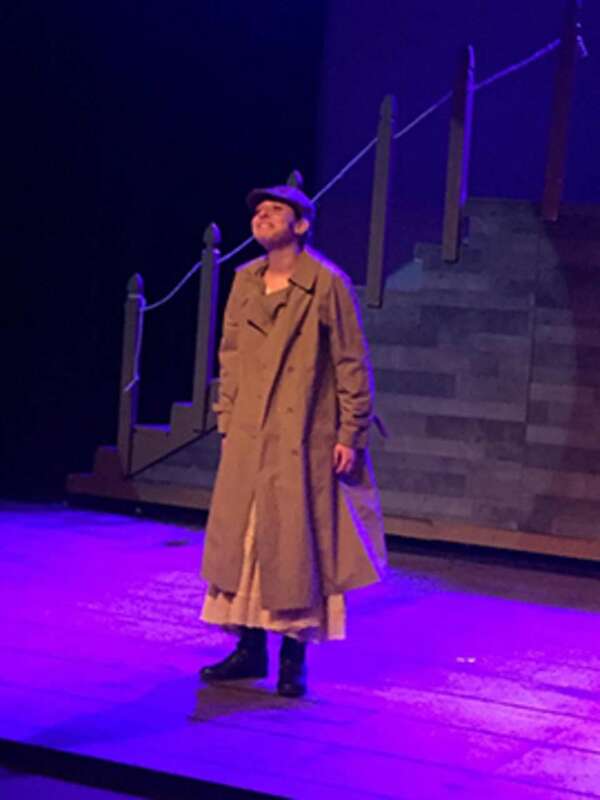 As a Long Island Scholar Artist, the Commack High School performer feels the excitement of starting a project can lead only to positive results. 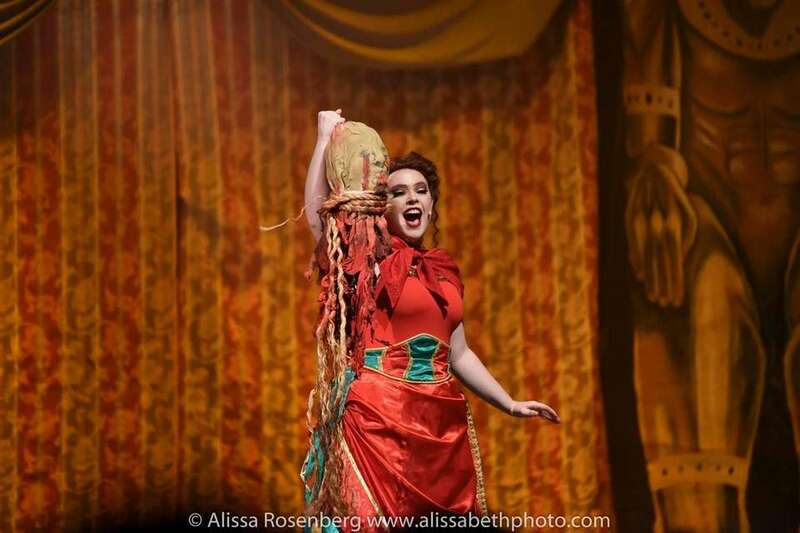 "Learning a new role, or studying a character inspires creativity," Lydia says. "You need to become a unique version of someone else so that the audience relates to your character, and to the story." 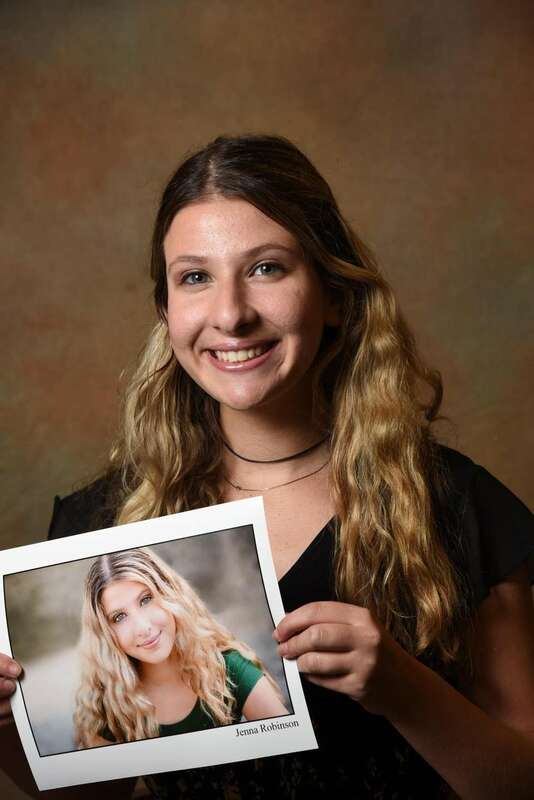 Lydia has garnered multiple first-place awards ranging from the Kidz Bob Talent Search at Madison Square Garden to top honors at Long Island's Got Talent in Stony Brook. As president of the Tri-M Honor Society, her talents shined at Carnegie Hall and Lincoln Center for the International Music Honor Society, where she was recognized for her piano solo. The connection between art and life is crucial, Lydia says. "You want the audience to think, laugh or cry along with your character so that they feel a connection," she says. This was evident in her role as Carlotta in "Phantom of the Opera" for her high school. The accolades for Lydia, a Commack Idol winner, extend to All-County and All-State honors from major local music organizations. Her performances also carry a philanthropic energy, namely her time as a singer/piano player for Relay for Life via American Cancer Society, the Gurwin Nursing Home Resident and Christ Lutheran Church in East Northport. 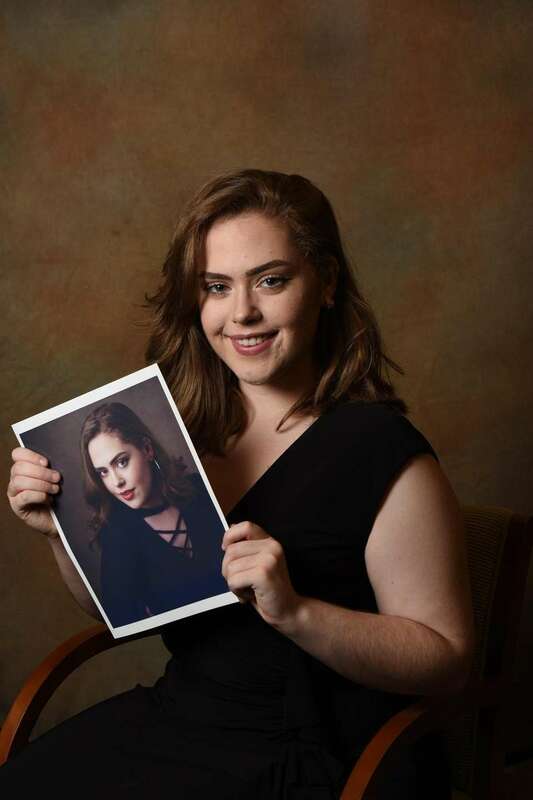 Lydia plans to pursue a double major in vocal performance and music education and continue songwriting with a goal of becoming part of music theater productions. The ability to dance is an important part of life for Faith Centa. January's Long Island Scholar Artist feels she'd be incomplete without the art of movement. "The past fourteen years of my life have been dedicated to [dance]," Faith says. "I'm proud of how much I've grown as a dancer and student, and I'm excited to see the growth continue for years to come." 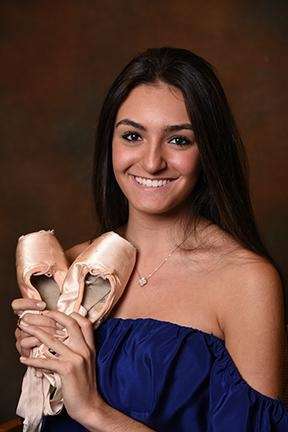 For the Massapequa High School student, winning regional and national dance competition awards further pushed her down the road to a dance career. "Choosing a path towards dance has allowed me to enter a community of other artists who share the same passions and goals," says Faith. 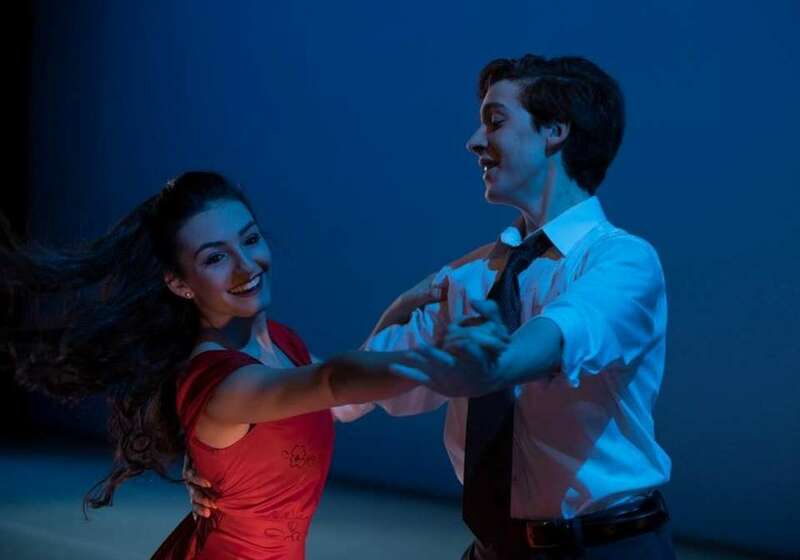 She feels dance has "become a platform for me to connect with others" and points to her work in the Long Island High School for the Arts (LIHSA), namely the End of Year Show and Winter Festival, as avenues to "share ideas, and help educate the next generation of young artists and learners." A National Honor Society for Dance member, Faith has succeeded at multiple levels of dance. 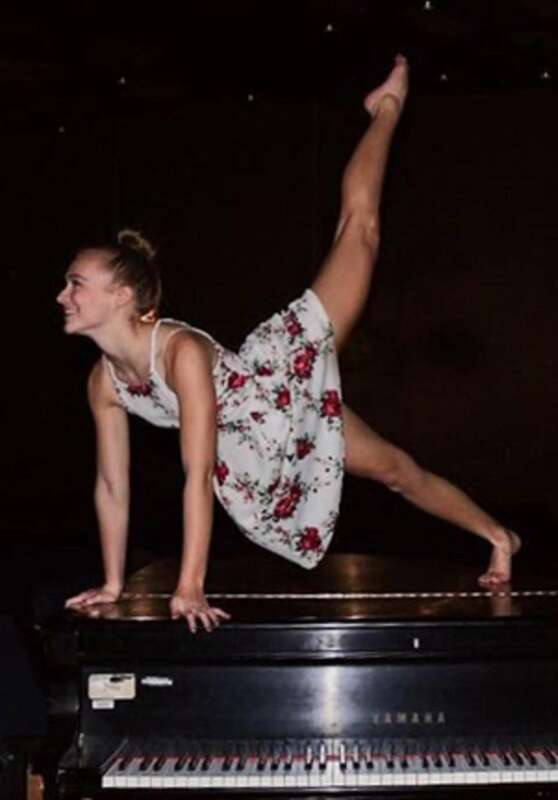 Her participation in the Joffrey Experience Summer Intensive Performance, Stage the Change: The Art as a Social Voice, and performing with the LIHSA's Dance Repertory Company showcased the skills honed by dedication and instruction. Faith plans to obtain a degree in dance at a liberal arts college and continue her dance career as part of a contemporary dance company before becoming a dance teacher. Music for Christine Ramirez is about the challenge, making goals and achieving them. "I strive to become a better artist by having great discipline, self-reflecting, and being patient," the Long Island Scholar Artist says. "Meeting my goals has led me to places I've never imagined I would go to, such as prestigious music camps and performances in various cities." Christine, a North Shore High School student, first realized how effective music can be when she performed at a local hospital. 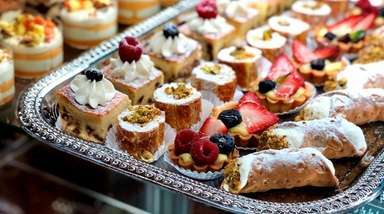 She also regularly showcases her craft at local senior centers and churches. "After performing, it was easy to sit with the patients and talk with them, says Christine, of Glen Head." Christine is a two-time All-State Orchestra member, a Grand Prix winner at the New York Concert Festival International Competition and president of the Spanish Club, North Shore Chamber Orchestra and the National Honor Society for Science. She feels music is vital for "healing and connection." "The arts have allowed me to connect with people and express myself without words," Christine says. 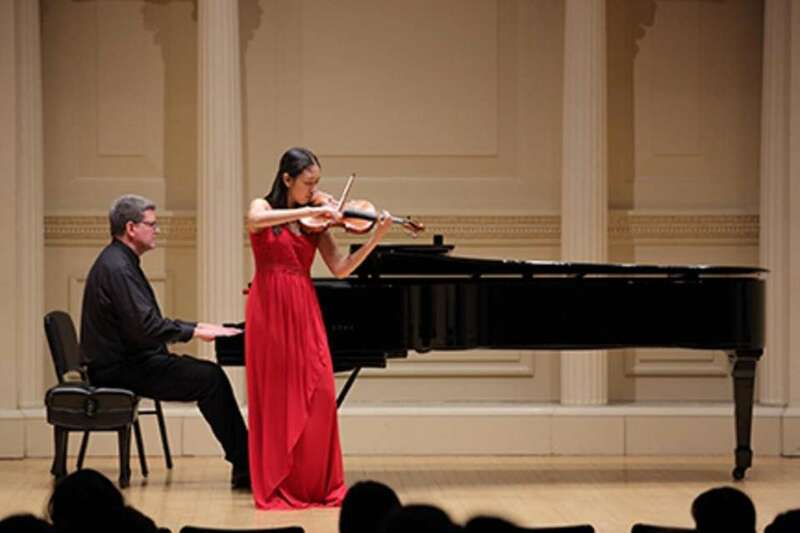 A member of the Juilliard Precollege Symphony and Orchestra, Christine has performed at Carnegie Hall and Lincoln Center as a soloist, a chamber musician and showcased her skills internationally. She served as concertmaster in Cuba and performed in St. Petersburg, Russia. 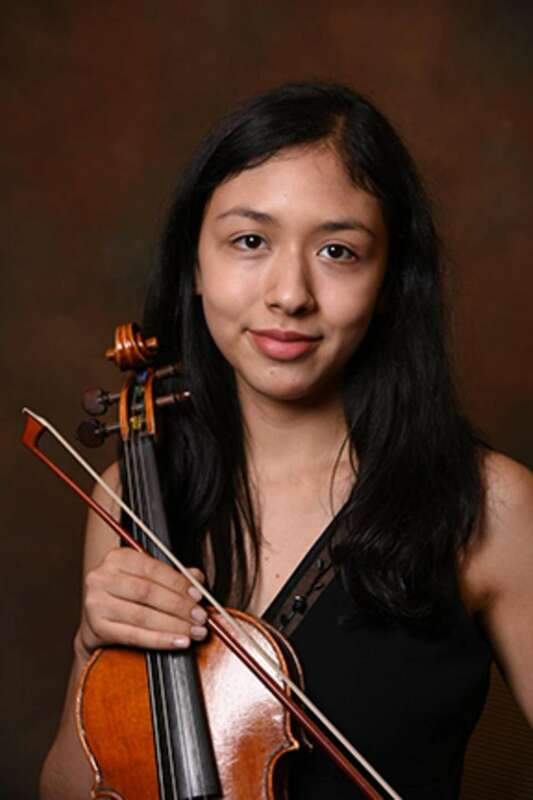 Christine plans to double major in violin performance and molecular biology in college. For Long Beach High School student Nina Capofarri, art serves as an avenue of progression from forming masterpieces with her hands to capturing a scene with her camera. "Art has been a huge part of my life for as long as I can remember," the Long Island Scholar Artist says. "It has always been my escape. When I first began in the arts, I was mostly involved in drawing, then went on to ceramics and sculpting, and now my focus is on photography and media arts." 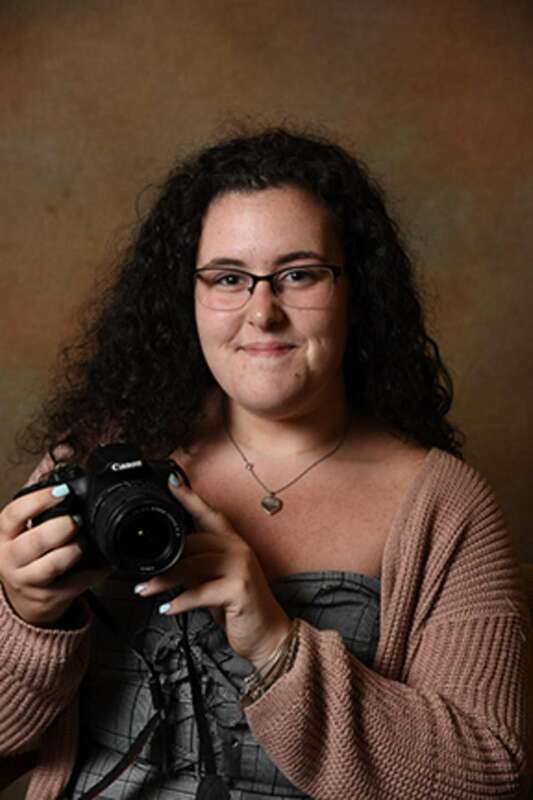 A four-year member and current president of the Long Beach School District's Anti-Bullying Club, Nina sees her photography skills go beyond framing a shot and setting a scene. Her plans for the future include being helpful to those in need. "In my life, there are two things I want to be able to say I successfully did: Help people with whatever they may be dealing with in their lives and stick with my passion for art and photography," she says. The Lido Beach resident has received multiple honors from the Heckscher Museum, the school district art show and the Art Supervisors Association. "I can always pick up my camera, get behind the lens, and shoot," the National Honor Society member says. "If I had a terrible day, none of the events of that day mattered once I stepped behind the camera." 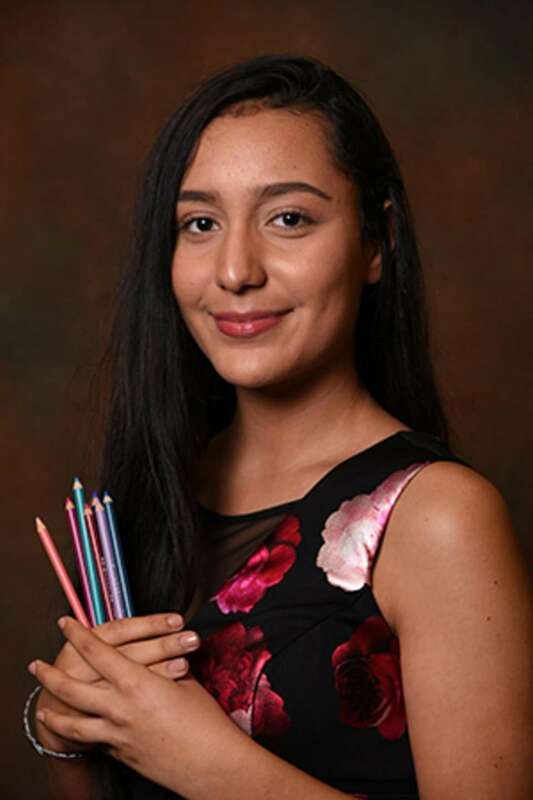 Nina will attend Molloy College to study visual art education with a post-college goal of becoming a teacher "where I am surrounded by art and helping young kids through their hardships [using] what helped me most." Erin Metzendorf believes dance, as a Long Island Scholar Artist, is the key to tapping into the human experience. 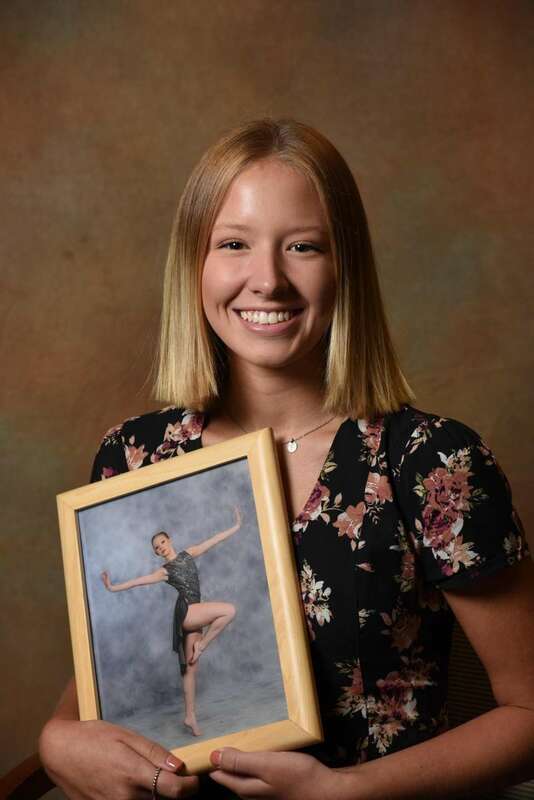 A member of the Thespian, Tri-M and National honor societies, Erin's connection with dance started at a very young age. "Dance has taught me how to be confident, strong, compassionate and empathetic," the Centereach High School student says. Erin's dancing skills can be seen at annual performances at St. Charles Hospital during the holidays, concerts held at the Patchogue Performing Arts Center and, notably, 9/11 ceremonies. "Erin is one of the best dancers that I have had the pleasure of instructing in all of my teaching career," her teacher says. "Erin is one of the best dancers that I have had the pleasure of instructing in all of my teaching career," her teacher says. Erin took first place in multiple dance competitions and was featured from 2015-2018 in roles in "West Side Story," "The Little Mermaid" and served as an assistant student choreographer for the musical, "42nd Street." Erin plans to be a kinesiologist, specializing in exercise science after college and wants to "promote emotional and physical wellness to people of all ages." "[Erin] is very humble about her ability and always offers to help other students when they are struggling with the choreography for the musicals," her teacher says. Westbury High School student Loren Manrique sees art as an escape; an avenue to see more of the world. The Long Island Scholar Artist for March views the world through ceramics one sculpture at a time. "I can look up from my phone's screen and see that everything around me can be a beautiful piece of art," she says. 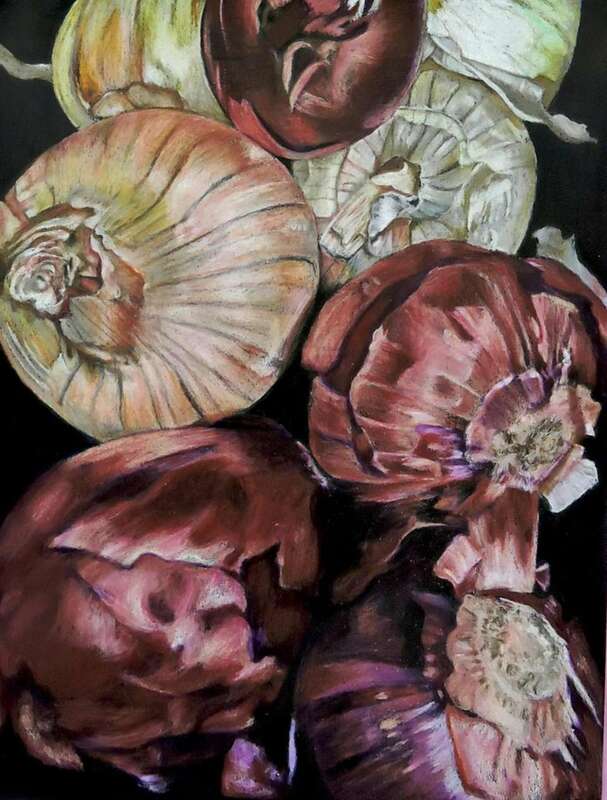 "I am amazed at how the light affects the colors and lines of an onion peel, for example, which can be beautiful and fun to draw." 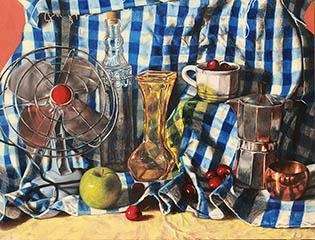 You may have seen Loren's work on display at the Tilles Center for the Performing Arts, Old Westbury Gardens and at an All-County exhibit for the Art Supervisors Association. She also is a member of the National Art Honor Society, plus the Art and Design Club. Emigrating from Colombia at age 13, Loren is "a perfectionist when it comes to her artwork. She is meticulous and works very hard to ensure that her vision is accurately depicted in her work," her teacher says. "Art has enriched my life greatly because creating every day in one way or another brings me peace and happiness," she says. Loren plans to attend Andrews University to study pre-veterinary science and minor in art to work towards becoming a veterinary doctor and run an art studio. "No matter what I do in the future, art will always be a part of my life," says Loren. For Jenna Robinson, the theater is her comfort zone. It functions as an area of peace, which is evident in her performances. 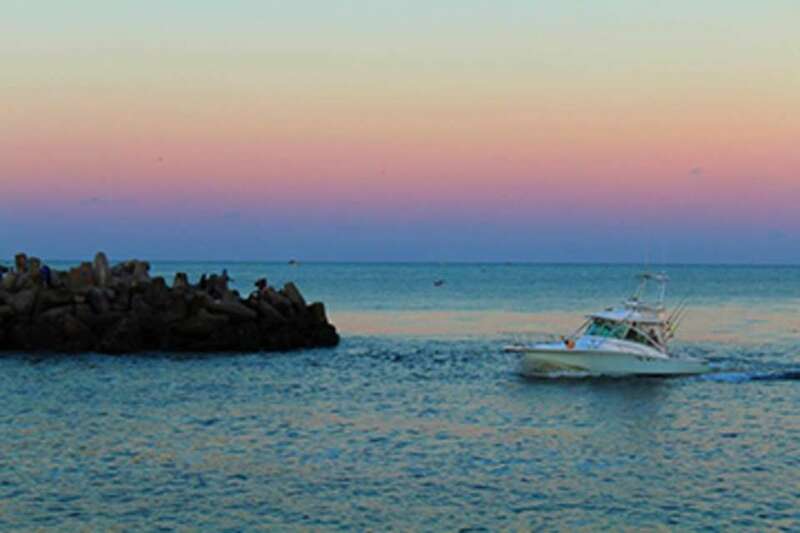 The Long Island Scholar Artist calls it a "place of exploration." 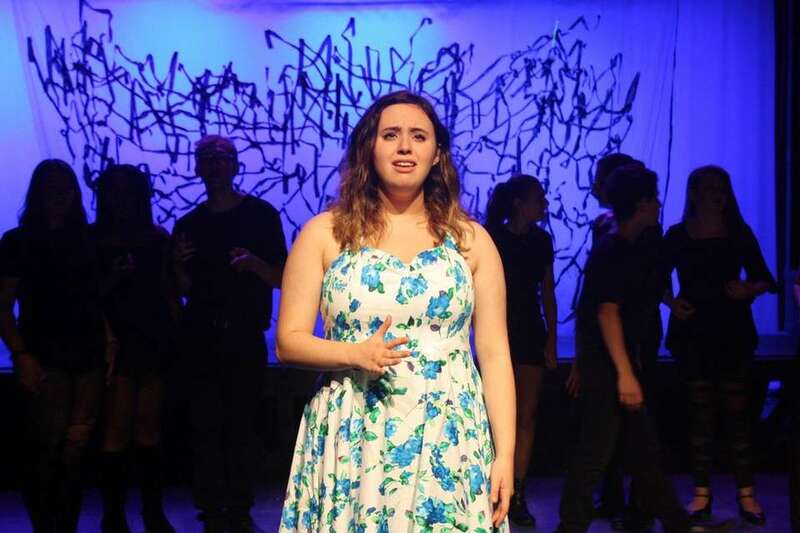 The Plainview-Old Bethpage JFK High School student has shined with the All-State mixed and treble choirs in the last two years and holds key memberships in the Tri-M Music, Thespian, National and Spanish honor societies. "Not only does it provide me with the unique opportunity to live in different worlds temporarily, it also allows me to explore different sides of myself," Jenna says. Some of her favorite lead roles include Julie Jordan in "Carousel" at the Usdan Repertory Theater, Eponine in "Les Miserables" at The Cultural Arts Playhouse and Abigail Williams in "The Crucible" at her school. "I love being able to create mannerisms and different quirks for the different parts that I portray," she says. Jenna's skills are regularly showcased at The Cultural Arts Playhouse in Syosset. She played Donna Sheridan in the high school's production of "Mamma Mia" last week. "I find such a beauty in live theatre in that something new and exciting happens with each performance," Jenna says. Jenna studied the Meisner acting technique at Rutgers Summer Acting Conservatory, learning to stay truthful and in the moment from this instruction. She plans to obtain a fine arts degree in musical theatre and become a Broadway actress. Music is ingrained in Alexander Felker, a Long Island Scholar Artist for April. His family is filled with music teachers and multiple generations have mastered teaching the craft. "I come from a musical family," he says. "Music runs in my blood and flows through my veins. Ever since I was born, music was all around me. It was common for me to wake up to the sound of my father's trombone playing, or the sound of my mother's cello strings vibrating as she practiced." 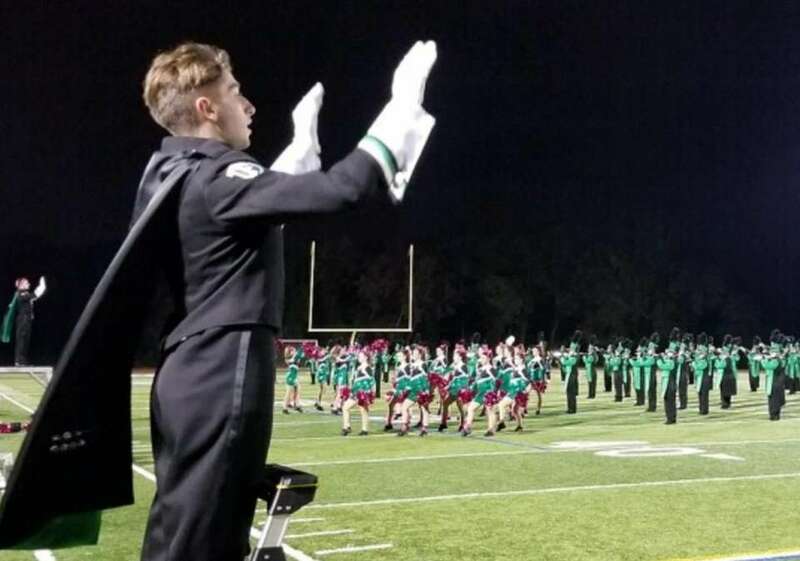 Alexander, a Farmingdale High School student, prides himself on his growth as a musician and credits his skill to following in his father's footsteps with the trombone. Alexander could be heard mastering it with the All-Eastern and All-State symphony orchestras in Pittsburgh, the All-State Jazz Ensemble and the high school marching band. "My bond with music became greater and greater, day by day," says Alexander. "This especially was the truth when fourth grade came around and I had to pick an instrument." Alexander's music career was a constant throughout his years at Farmingdale with the Nassau/Suffolk Jazz Band from ninth to 11th-grade, before being named first tenor trombonist for the Nassau/Suffolk Jazz Ensemble. 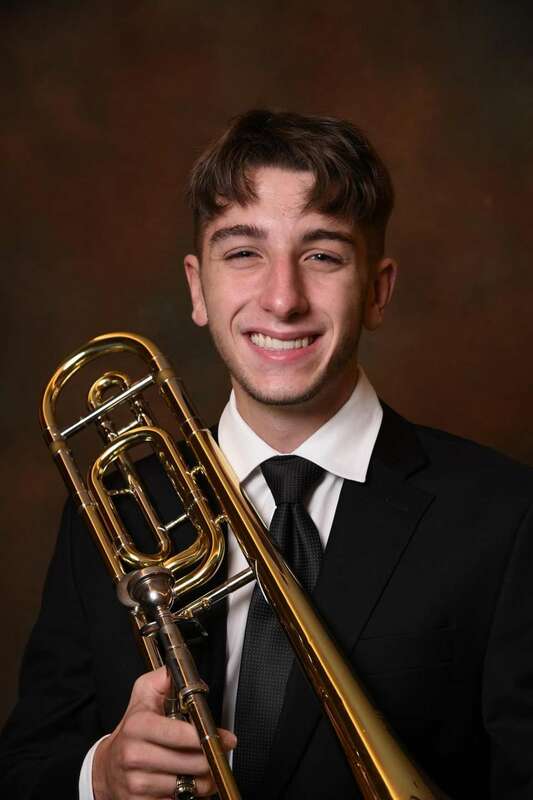 A member of the National, Tri-M and Italian honor societies, Alex plans to major in music education and minor in musical performance in college. He is researching Ithaca College and the Crane School of Music at SUNY Potsdam as potential post-high school destinations.